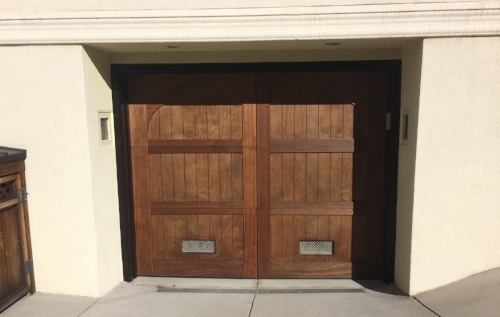 We stripped and refinished this mahogany garage door. It was Steve's idea to add the black trim. The client loves it, and it's easy to see why-- the darker frame really makes the rich, warm color of the wood pop out!